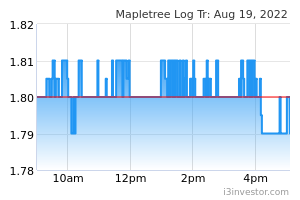 We have fine-tuned estimates following MAPLETREE LOGISTICS TRUST (SGX:M44U)'s in-line 3Q19 results: DPU at SGD2.002 cts brings 9M19 to 75% of our full-year forecasts. We have factored in its three recent deals valued at SGD191.6m in total, whilst adjusting our portfolio metrics to reflect a slower-than-expected quarter in China; our DPUs are kept largely intact. 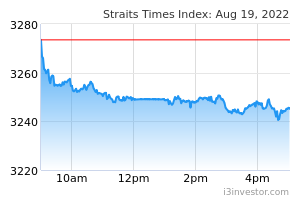 Maintain HOLD and an unchanged DDM-based Target Price of SGD1.30 (COE 7.4%, LTG 1.5%). Our top industrial-sector pick remains the business-park-focused ASCENDAS REAL ESTATE INV TRUST (SGX:A17U), with its stronger balance sheet better able to support potential acquisition growth upside. which helped offset one divestment in Singapore. We expect 4Q to be lifted by further contribution from its acquisition of five Singapore properties that completed on 28 Sep 2018. Portfolio occupancy was steady (at 97.7%) with q-o-q improvements across Singapore, Hong Kong and S.Korea. Mapletree Logistics Trust's China properties reported lower occupancies (down q-o-q from 98.3% to 95.8%), as JD.com downsized its space needs; this should improve in subsequent quarters from backfilling efforts (Mapletree Logistics Trust is targeting local SMEs at higher rentals). Rental reversions at +4.5% were attributable to its assets in Singapore (+2.5%), Hong Kong (+10.5%), China (+3.3%) and Vietnam (+3.0%). Vietnam (1%) where demand should stay robust over the next 6-12 months by spillover gains from the ongoing China-US trade conflict. Mapletree Logistics Trust remains optimistic on the Chinese logistics market, but will be selective on deals (likely targeting first tier cities where demand-side fundamentals are sound) and cautious on the performance of its older assets in Singapore and S.Korea. Demand for newer high-specs logistics properties in Singapore however remain tight against expansion activities including by the likes of Amazon.